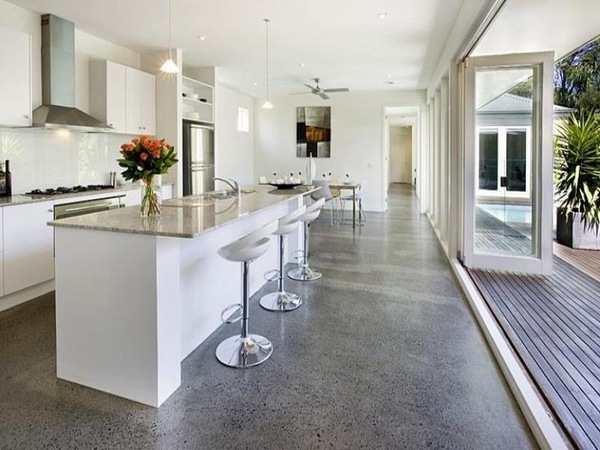 Polished concrete floors are becoming increasingly popular as many people believe that the aesthetics and the positive atmosphere in the rooms is as important as the strength and sustainability of the structure. 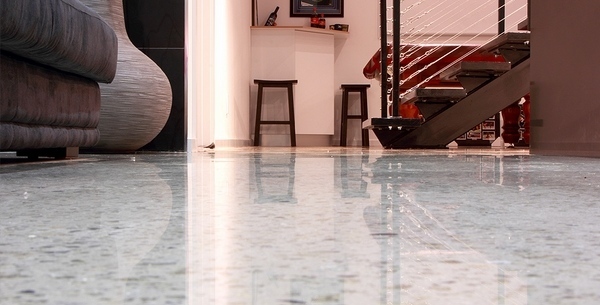 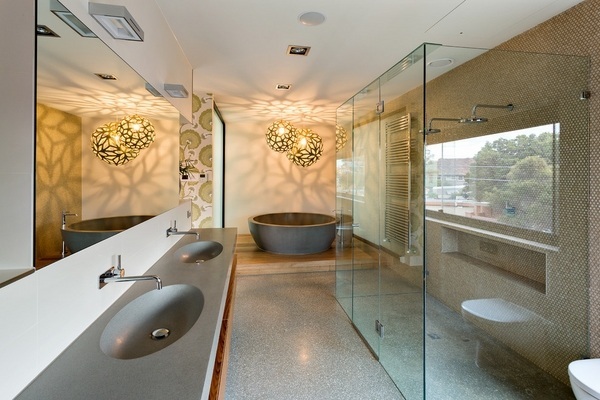 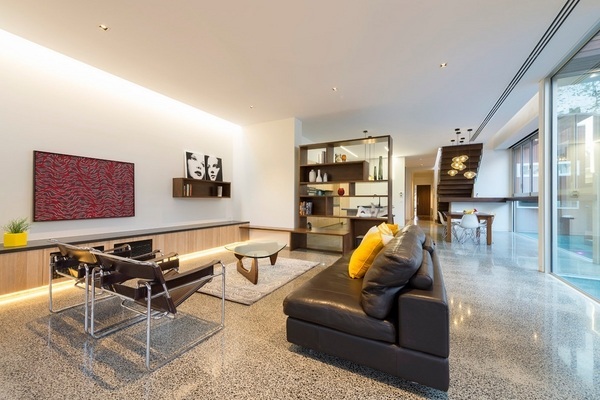 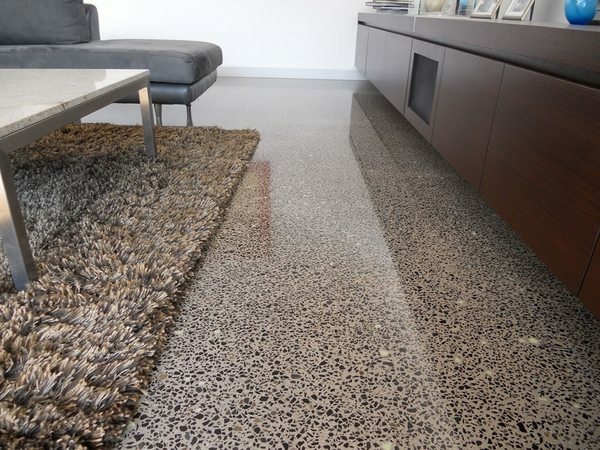 Although polished concrete is used mainly in homes with unconventional and contemporary design, it is becoming an alternative to the well-known ceramic tile, carpet or laminate. 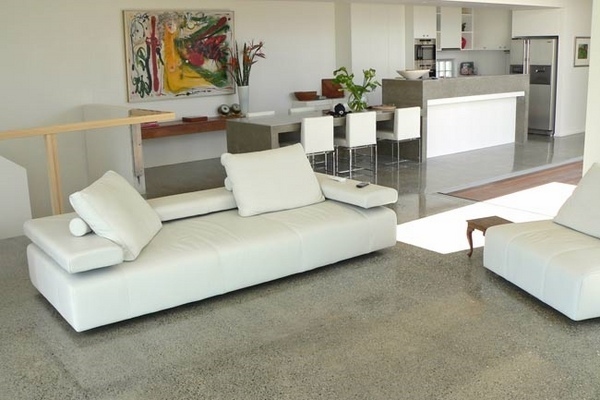 If you wonder what type of flooring is suitable for your home or you simply cannot decide between wood, carpeting, floor tiles or any other type of home flooring, here are some of the advantages of polished concrete floors. 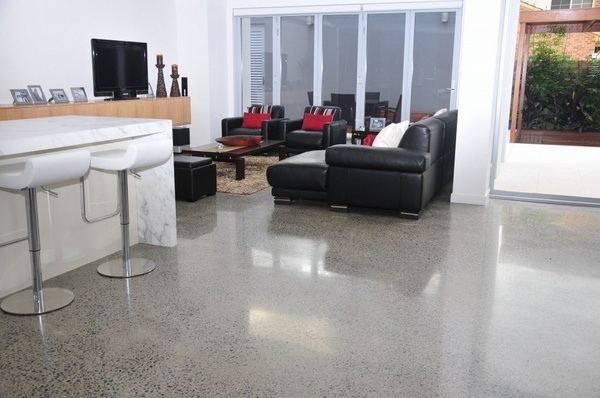 One of the main advantages of polished concrete is that it does not need additional maintenance and requires no special cleaners, which makes it very easy to clean on a daily basis. 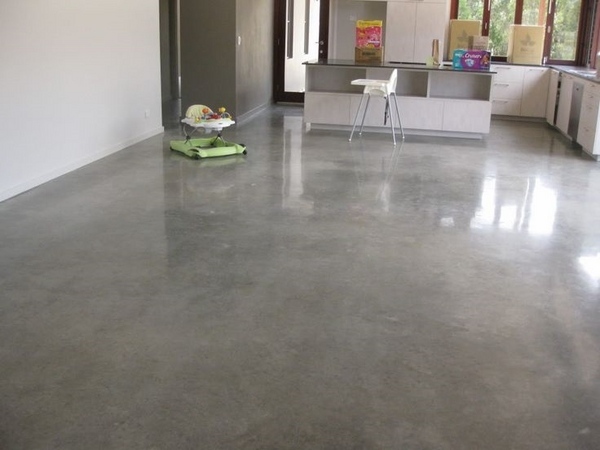 Polished concrete floors are strong and the smooth surface does not retain allergens, which is of great significance for people with small children. 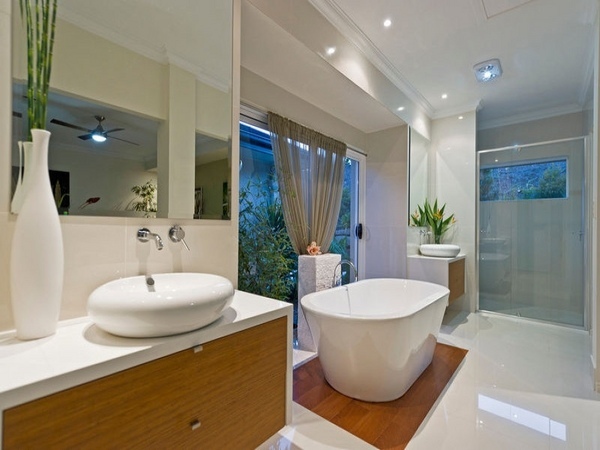 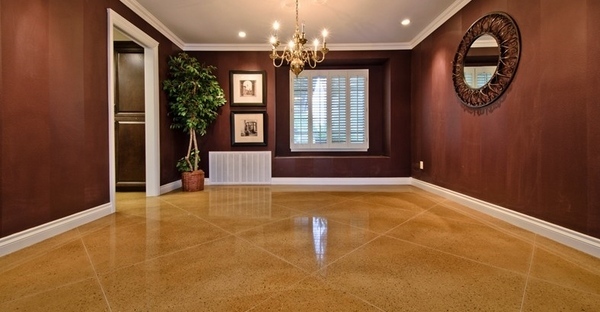 The glossy surface reflects light and makes the rooms look brighter. 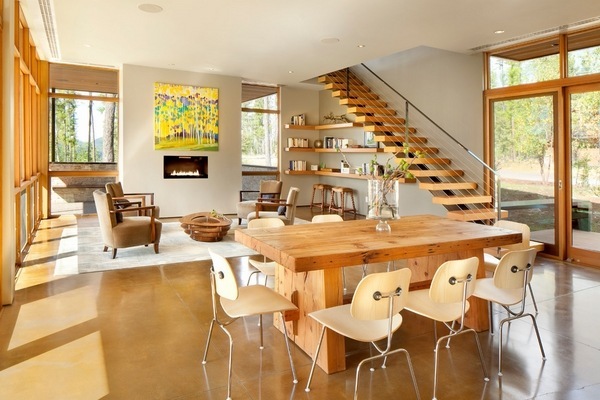 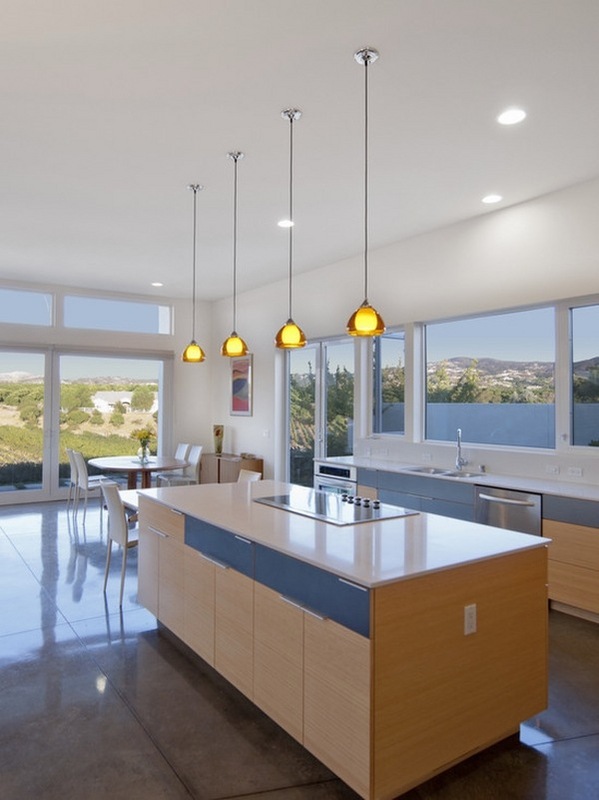 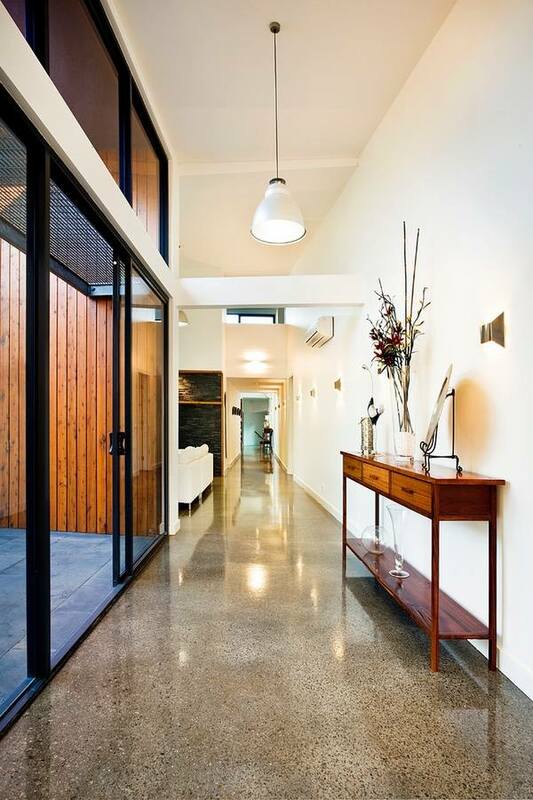 A polished concrete floor can be a dramatic accent in the interior design. 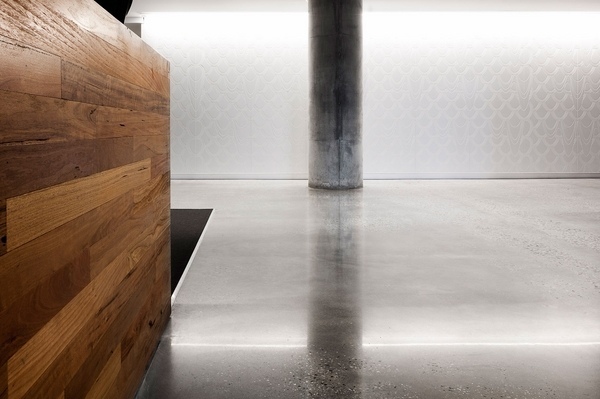 Polished concrete floors combine practicality and uniqueness and the surface aesthetics can hardly be imitated by any other floor surface. 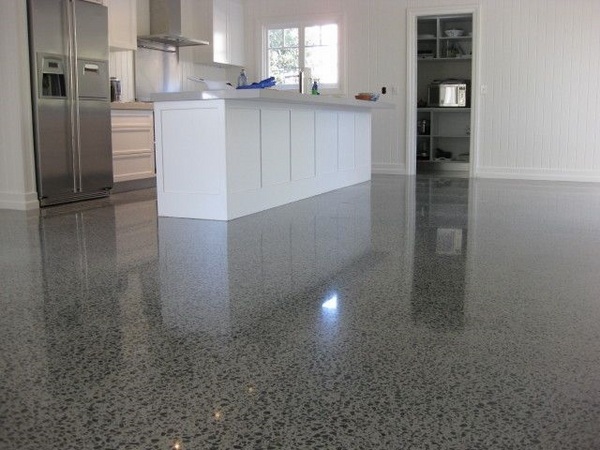 The technique of polishing is based on a mechanical grinding of the floor and is usually combined with application of sealant which permanently increases the strength of the floor and the pores of the concrete are sealed. 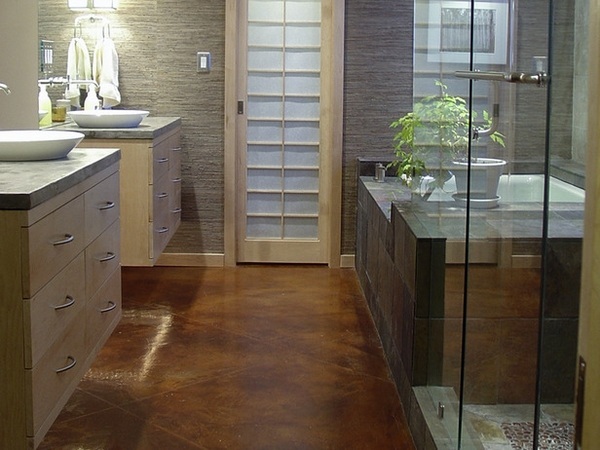 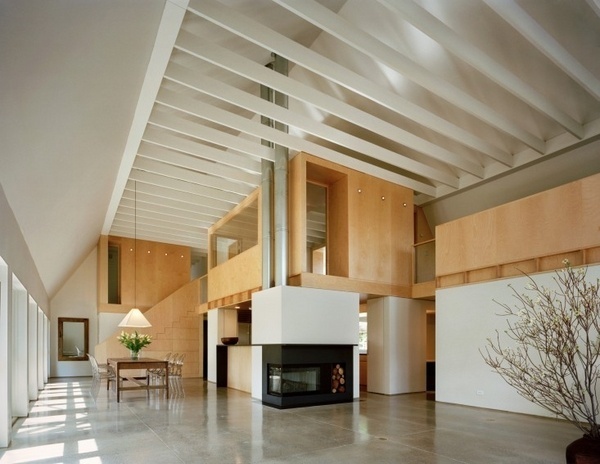 If you plan a renovation at home, a concrete floor is an excellent option because it is very cost effective as well. 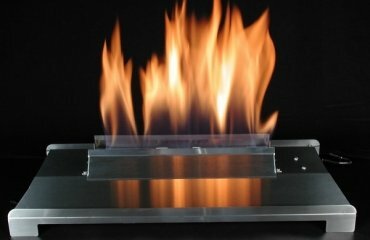 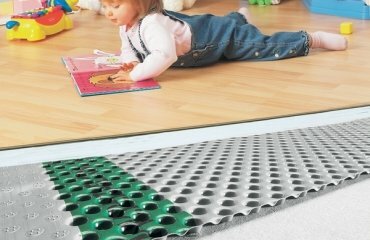 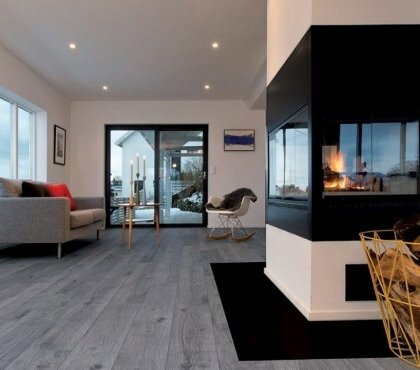 A worn, damaged and uneven floor can be substituted by a modern floor which will be water and stain resistant, fireproof, resistant to scratches and damage. 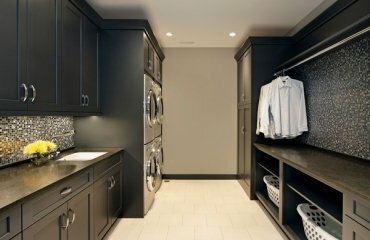 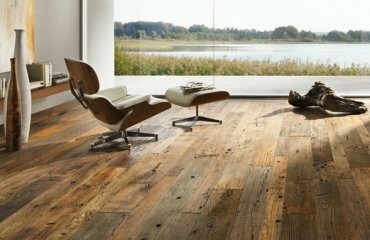 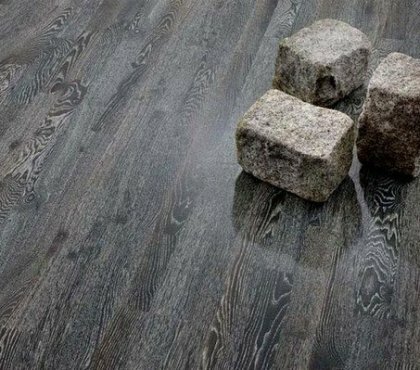 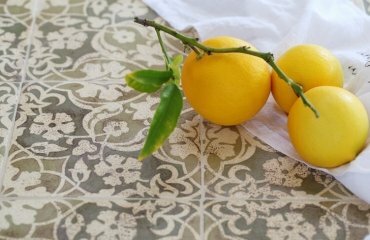 The different types of finish, coloring and customizing provide numerous design options and you can be sure that your floor will have an attractive and unique appearance.